UAVs safer and more efficient than manned flights. 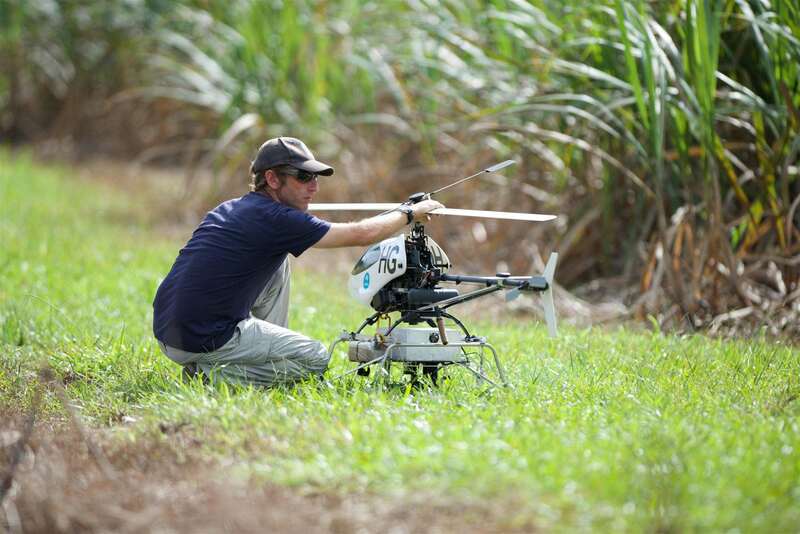 Australia's Commonwealth Science and Industrial Research Organisation (CSIRO) has kicked off a biosecurity project to survey infestations of the highly invasive "purple plague" weed in rainforest locations near Cairns, using small radio controlled unmanned helicopters. Part of the larger $7 million Project ResQu program - set up by Queensland University of Technology's Australian Research Centre for Aerospace Automation (ARCAA) - the project uses sophisticated imaging technology to spot Miconia calvescens and other invasive weed infestations that threaten rainforests. 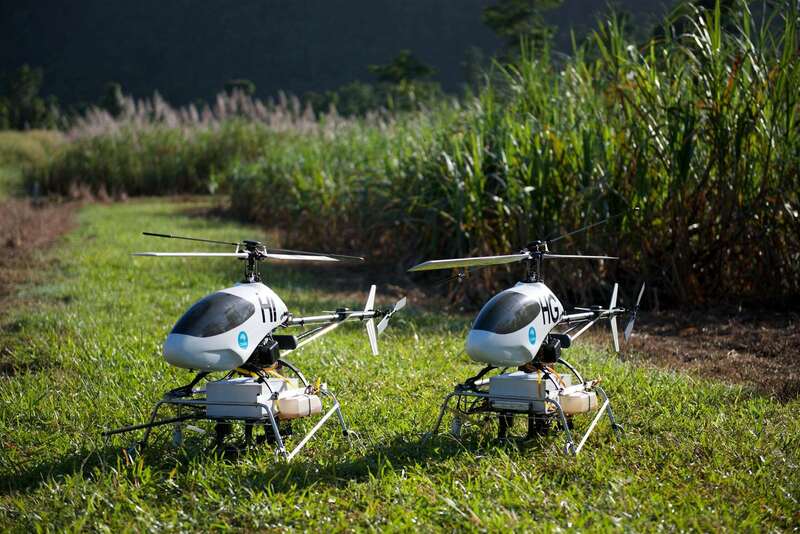 It is separate to an earlier, large-scale Queensland natural resources department project that aims to use Yamaha RMAX drones to spray weed infestations across the state. Typically, Miconia and other invasive weed surveys are done aerially with manned helicopters, as the rainforest is too dense for ground-based surveys. Using unmanned helicopters for such surveys is safer and more effective than piloted missions, project leader Torsten Merz, doctor of engineering, told iTnews. "There are obviously risks involved being in a helicopter that flies at low altitude in such terrain. Also, as the image analysis can be performed in an office environment it can be done more thoroughly," he said. The helicopter used is based on a high-end radio control (RC) kit, Merz said. CSIRO's Dr Merz prepping the chopper for a mission. "We designed and built the autopilot including the obstacle avoidance system and the camera payload optimised for weed surveys in rainforest environments, the fuel system and the extended undercarriage to carry our payload," Merz said. Being lightweight and small enough to fit into the back of a van, the helicopter weighs just 12.4kg and has a rotor disc diameter of 1.78 metres. Merz said it can fly for a maximum of one hour at a cruise speed of five metres per second. The prototypes were built over the last two years, with mission planning software for flight plans, Merz said. These are optimised for survey flights in difficult, mountainous terrain and provide an analysis tool for weed spotters to identify Miconia in the images from the camera, he added. While the helicopter can be operated without a pilot or any comms link to the operator during surveys, aviation regulations currently don't permit pilotless flights. "Communication is very difficult to maintain during low-altitude in mountainous terrain, hence we decided that non-interactive mission execution and on-board image recording is required," Merz said. Civil Aviation Safety Authority (CASA) rules mean that despite the helicoptor's wireless interfaces for missions which have five kilometres reach, operators have to keep the helicopter within visual range. Merz said the survey method has several other applications, especially for agriculture, but the project needs to source funding and also, to find a solution with CASA to allow this new type of aerial survey, Merz said.